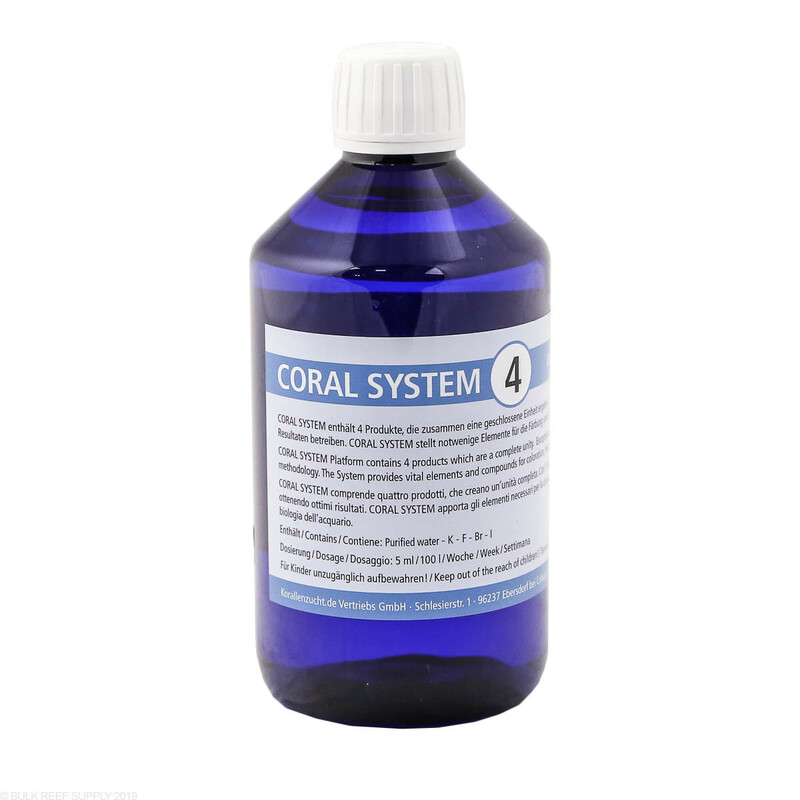 The KZ Coral System does not include calcium, alkalinity or magnesium. Korallen-Zucht has designed an all inclusive system that is for aquariums that are NOT running the Zeovit system. Korallen-Zucht has always been known for their Zeovit system that allows aquarium to produce corals with perfect coloration and growth. They now have a system that includes all the necessary components for reef tanks that are not running the Zeovit system. The easy to use Coral Components System is much easier only requiring once a week dosings that have specific goals in mind. 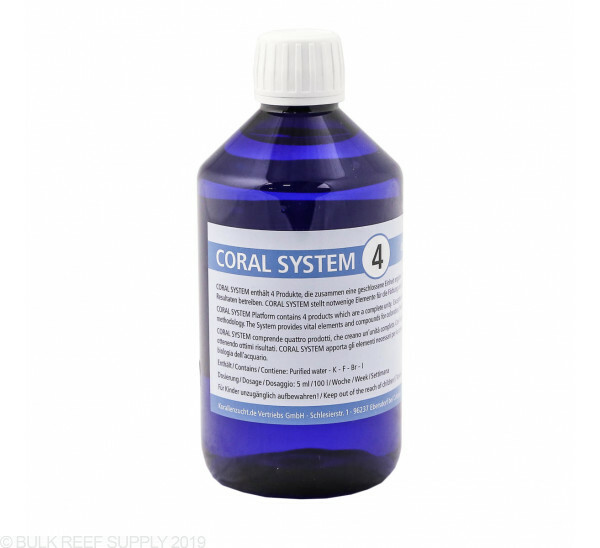 If you are trying to enhance a single color in your tank, or looking for an entire trace element system, the KZ Coral System is for you. Instructions - Dose 5 mL for every 25 US gallons once per week.